We help companies push the boundaries of what’s possible, collaborating every step of the way. Our clients come to us to find new ways to accelerate innovation, do more with less, get to market faster, create experiences their customers love, and build operational muscle for sustainable results. 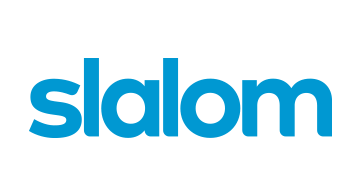 Founded in 2001 and headquartered in Seattle, WA, Slalom has organically grown to nearly 4,500 employees. We were named one of Fortune’s 100 Best Companies to Work For in 2017 and are regularly recognized by our employees as a best place to work. You can find us in 25 cities across the U.S., U.K., and Canada. Learn more at slalom.com.